Sweden ended the United States’ 43-game unbeaten streak on Friday, defeating the Americans 1-0 in group play at the 2014 Algarve Cup. Sweden proved efficient in the 24th minute when Lotta Schelin pounced on her team’s best attack of the match to that point. 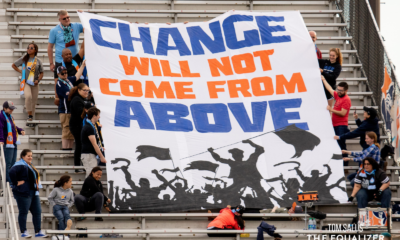 Sofia Jakobsson blocked Ali Krieger’s clearance and settled it for a cross to Schelin, who beat Rampone to the spot and sent a glancing header past Hope Solo. 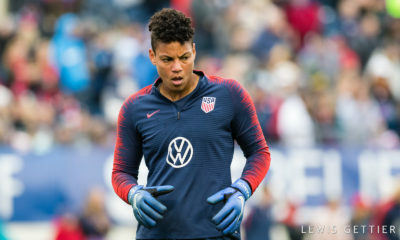 The goal stood up as the only one of the match, ending the United States women’s unbeaten run that stretched back to the 2012 Algarve Cup, when the Americans lost to Japan in group play on March 5, 2012. Pia Sundhage, the current coach of Sweden, was the U.S. coach when that streak began. With the loss, the U.S. has been ruled out of contention for the championship match on Wednesday. They will play Denmark on Monday, hoping to qualify for the third-place match. The Americans have won the Algarve Cup nine previous times. 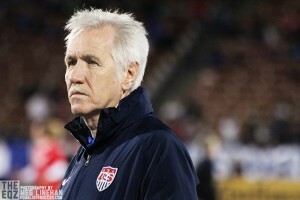 Tom Sermanni went unbeaten in his first 20 matches as U.S. coach before Friday’s loss. Nilla Fischer led a brilliant defensive performance by the Swedes, who frustrated the United States throughout the day. 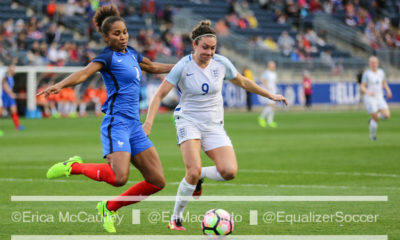 The United States’ best opportunity of the first half came in the 16th minute, when Amy Rodriguez earned a penalty kick after being tackled by Charlotte Rohlin in the box. Abby Wambach stepped up for the penalty kick, but her short, one-step approach was saved by Sweden goalkeeper Hedvig Lindahl. Pushing for an equalizer in the final minutes, the U.S. had chances. Lindahl twice saved 1-v-1 opportunities in the final 10 minutes, first denying Kristie Mewis with a kick save in the 82nd minute and then coming out to stuff Sarah Hagen’s would-be equalizer. 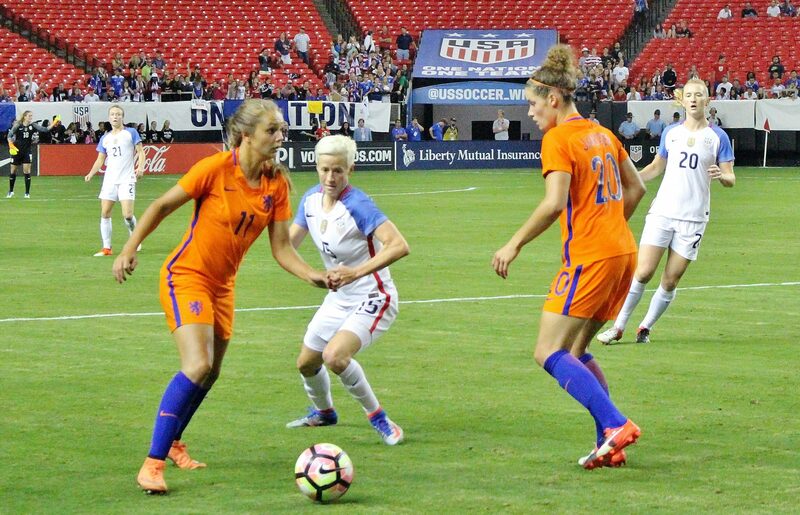 Mewis entered the game in the 67th minute — at the same time as her sister, Sam — and the siblings became the first to play on the field together for the U.S. since Lorrie and Ronnie Fair did so in 1997. Friday marked Sam Mewis’ and Hagen’s debut for the senior national team. The world’s No. 2 team narrowly edged China 1-0 on Friday to book a spot in Wednesday’s final. Anja Mittag broke the surprising deadlock in the 84th minute on a long-range effort. Mana Iwabuchi’s strike in the 44th minute stood up as the winner, giving Japan a chance at the final with a win on Monday against Sweden.